How to Remove Sun Tan at home ? Is there any one who doesn't love summer vacation ? The only downside of these vacation is sun-tan which makes our skin dull and lifeless. I tried out a few home made remedies but they did not give any result. My cousin's marriage is coming up in a week this made my hunt for sun tan remover more serious. 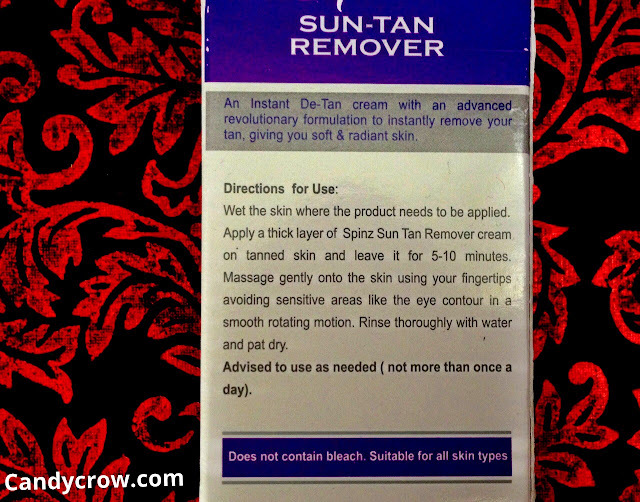 The search for the perfect way to reverse the effect of sun ended with discovery of Spinz Sun-Tan Remover. It claimed to remove tan within 5-10 minutes without the use of bleach. It sounded too good to be true so I decided to try it myself and find out whether the product lives up to its claim. Direction to use the cream is quite easy. Wet your clean face and apply thick layer of cream, leave it for 5-10 minutes. Massage the cream gently with finger tips for couple of minutes and wash it off thoroughly with water. Spinz sun-tan removes consist of a tube with instant de-tan cream. 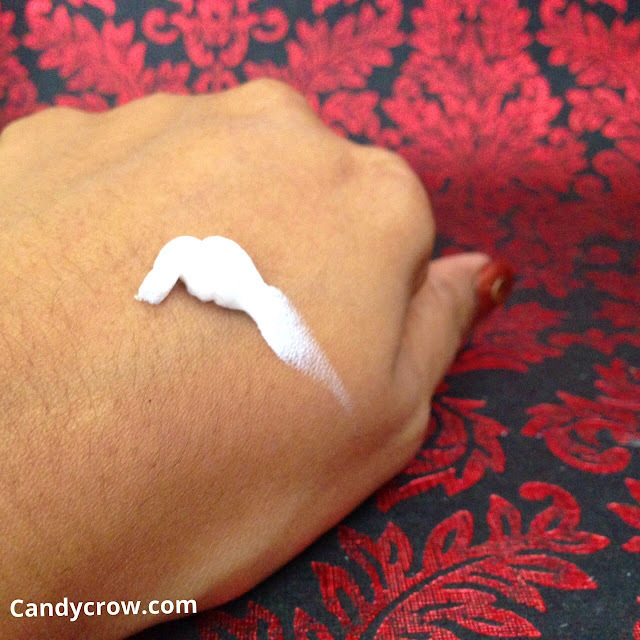 Unlike bleaches this tan remover has pleasant fragrance, the cream is thick in texture and spreads on easily. It gives a mild tingling for a couple of minutes but it fades off eventually. As I have some stubborn tan I left it for 10 minutes and washed it off after a quick massage, to my surprise it left me with radiant skin and considerably less tan. It can be used only once a day but not more than that, so I decided to use it twice a week as I thought more frequent use might lead to dry skin. Each use of this cream brings me closer to my original complexion. 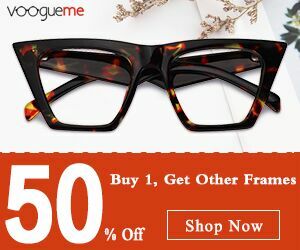 It is inexpensive, easily available and does not lead to any skin breakout. Avoid usage of soap for 6 hours after using sun tan remover. I usually avoid going in sun for 4-6 hours when I use this product. For those ho life life on the go, just carry it in your handbag ! 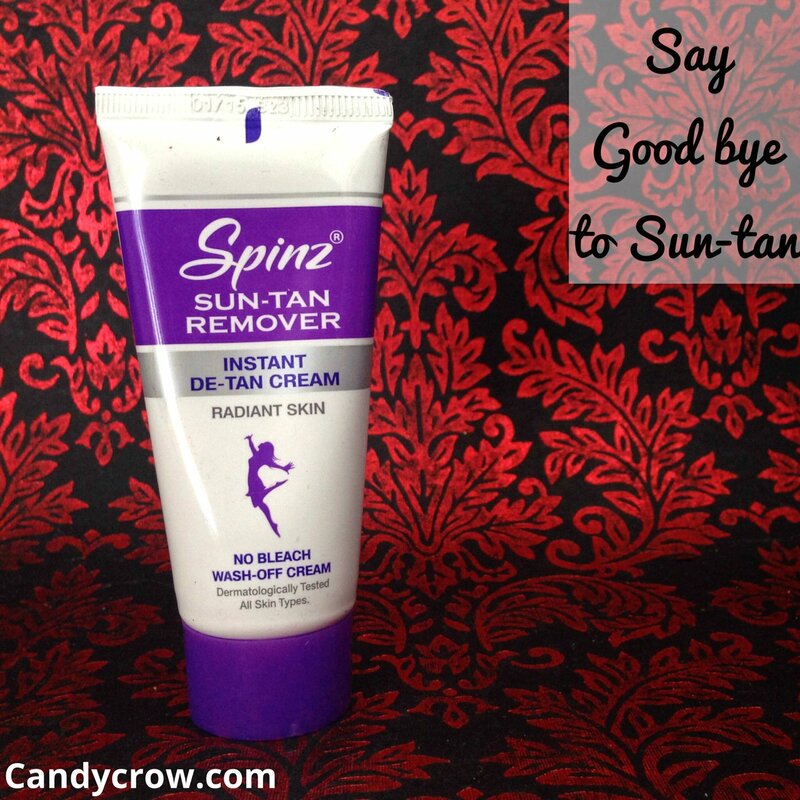 Have you tried Spinz sun tan remover ?